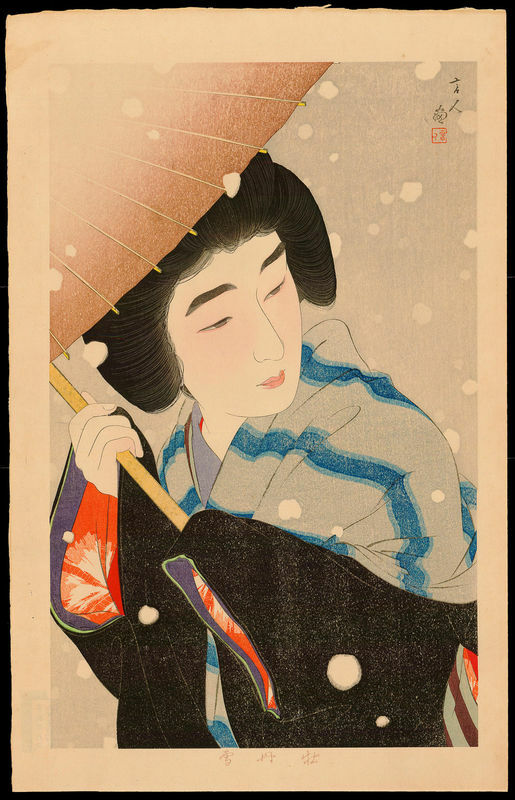 Notes: This is scene number nine from Kotondo's bijin-ga series published via Ikeda. 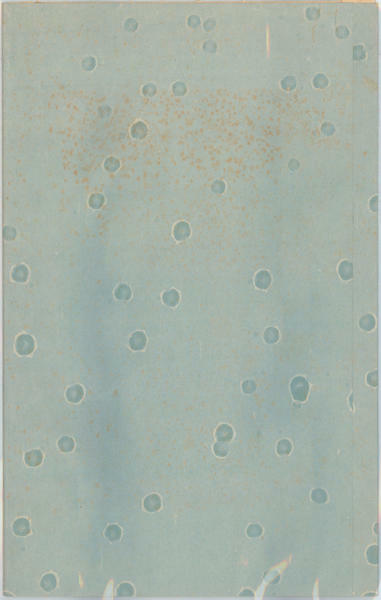 Edition 31 of 100 prints, never republished by Ikeda. After the edition of 100 was completed the keyblock was deliberately gouged to destroy it, and a print of this gouged keyblock was included with each of the 100 prints sold. My print also includes the original folder and a keyblock print from the gouged keyblock (see image). Obviously a very rare and expensive print. Sheet size is about 30 x 47cm. 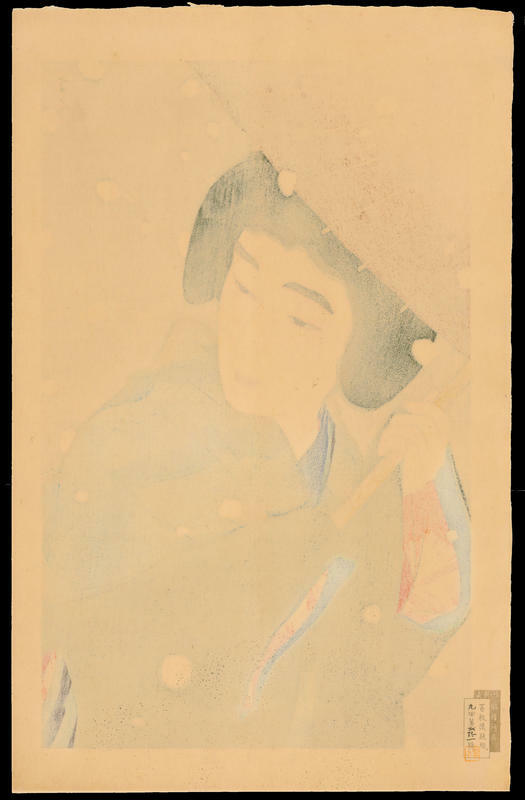 Signed Kotondo ga with artist's square seal Kotondo; with the title, Botan Yuki embossed on the lower margin. Published by Ikeda. 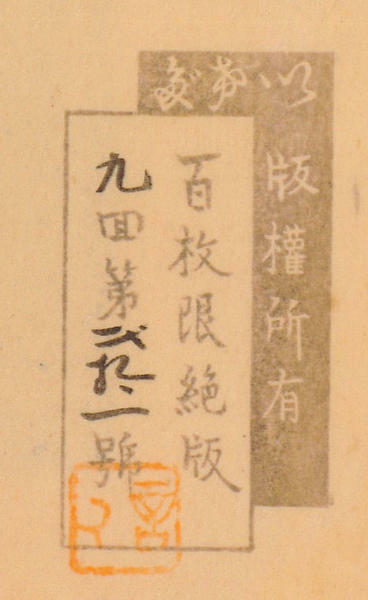 The publisher's limited edition cartouche printed on verso, Ikeda hanken shoyu, hyaku mai kagiri zeppan (Ikeda, copyright; edition limited to 100). 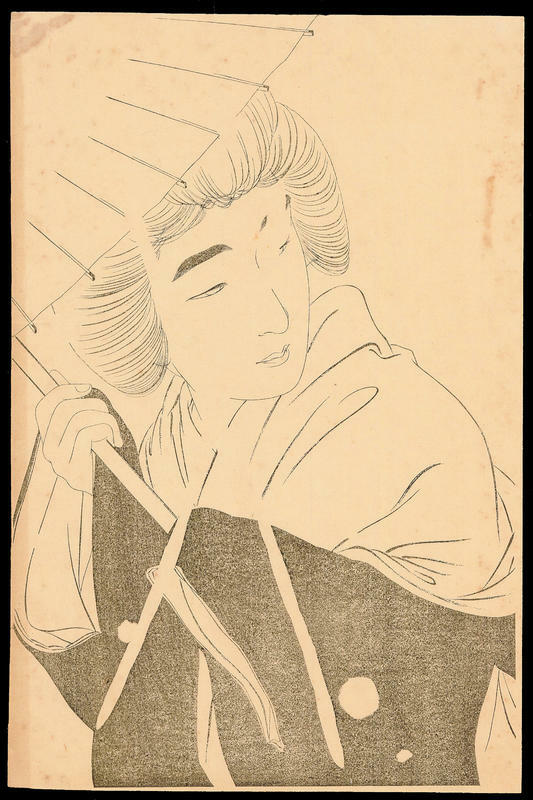 Undated, published by Ikeda in 1933 (confirmed).